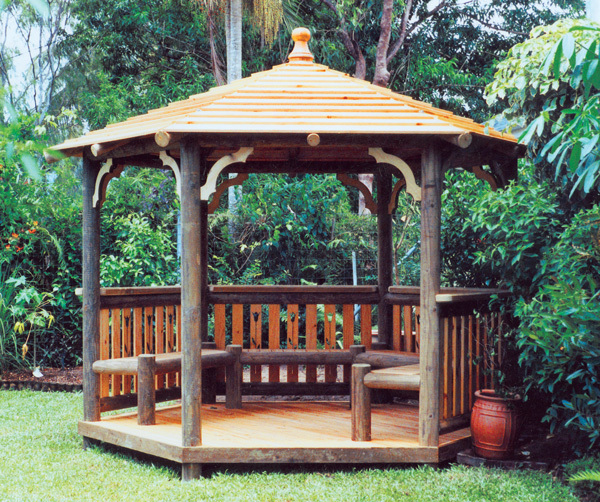 The traditional hexagonal gazebo is a perfect addition to your garden setting, harking back to our european roots. 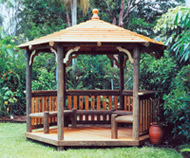 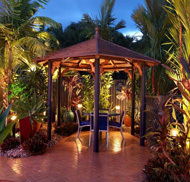 A place of sanctuary from which to gaze upon your estate or to create a focal point in your landscape. 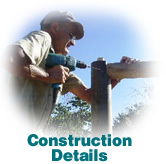 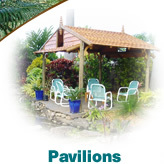 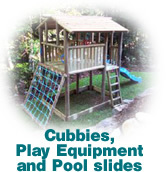 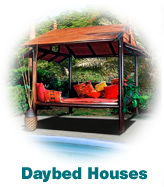 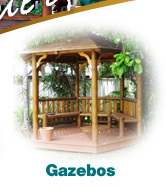 Choose from 4 different sizes, with the option of handrails, bench seats, solid or shuttered walls and decorative corner brackets and floors - Click here to design and estimate the cost for your own ideal gazebo. 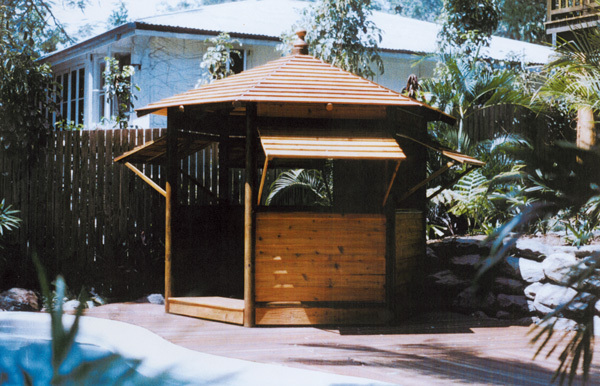 Just when you thought we couldn't think of anything else, we stretched a hexagon and came up with this. Perfect for a long rectangular table setting, this gazebo is very different. 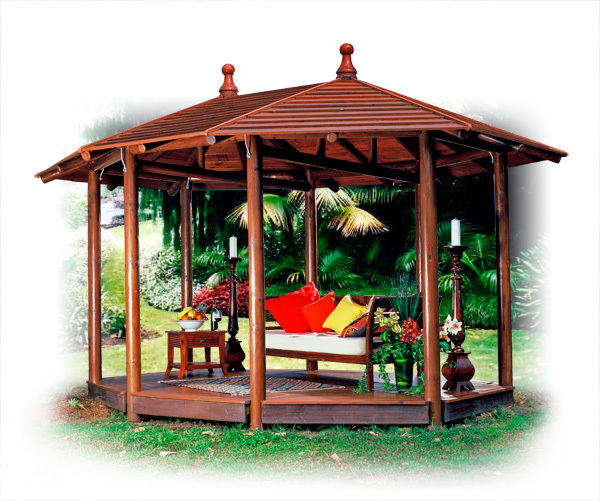 Place one where you can soak up the view!